Allows personnel to retrieve floating aerators and mixers from their normal operating position and pull to an Otterdock – Safe Docking Platform. 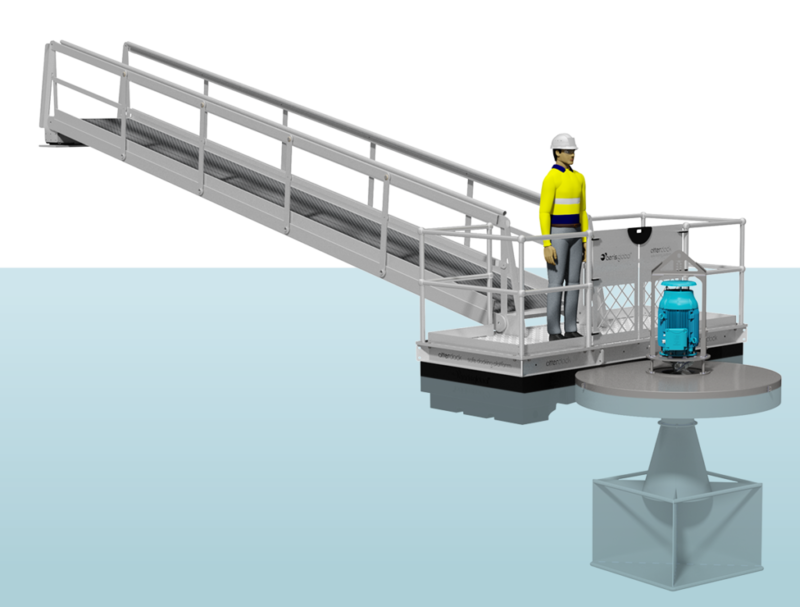 This allows housekeeping, service or crane connection to be performed without personnel leaving the safety of the Otterdock. Retrieval is achieved without electrical disconnection. Upon completion, pre-set cable lengths allow the aerator or mixer to be returned to its original position.